This bow fender is designed to protect your boat when aproaching the quay side or the landing stage. 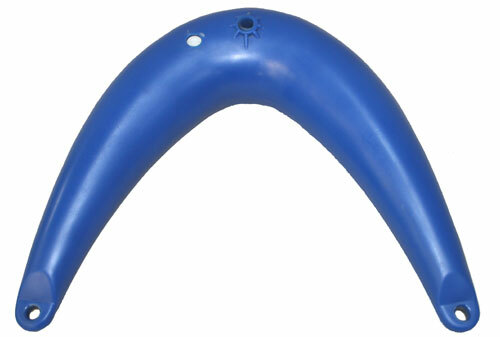 A high quality fender made of UV-resistant PVC. The rope eyes consist of solid material. Each fender is being tested before it leaves the factory. Fenders should protect your boat even under rough weather conditions. When deciding on the size of the fender please consider the shape of the bow. The stated dimensions of diameterand length are calculated at a pressure of 0,15 bar and a temperature of 20°C. This pressure should not be exceeded. Under tropical conditions the pressure has to be reduced by 0,05 - 0,06 bar. Cleaning: Soap and water, Vinyl cleaner or mineral spirits are suggested. In no case lacquer thinner or Acetone should be used as this would destroy the material and make the product useless.